The rising R&B star from Miami also tells The FADER all about her songwriting process. Sabrina Claudio is a young R&B singer from L.A. via Miami and she's just super real. Her March 2017 EP Confidently Lost is seven tight tracks of sprawling anthems about the heartache of adolescence that anyone can groove to. "I do write my own stuff," she said. "The only time I write with someone else is with one of my friends but I write everything myself." Expanding off the EP, is "Belong To You," which The FADER is premiering today. 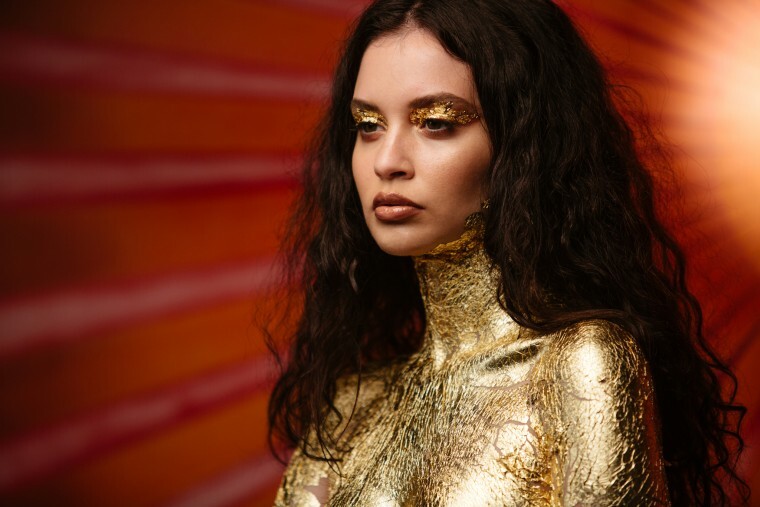 Sabrina Claudio told The FADER about the song's origins and the start of the career from her home in L.A. earlier this week. Watch the video above and find out more below about your new favorite star. Tell me about how "Belong To You" came together. This song was written and produced by me and the same producer who did "Unravel Me." Any time we go in the session together, it's like magic. We create things in just a few hours, the vibe is just there. In the song, it seems as if I'm speaking to a partner, but what I wanted to do with the video is make you understand that I'm talking to myself. There are so many mirrors in the video and I wanted to make sure that people understood it was a love song to myself. That producer was STINT. What do you like about working with him? He is a recent producer that I came across. The first time we met was when we created "Unravel Me" and working with him is just incredible. Working with him after working on Confidently Lost was a complete upgrade. I'm still in love with the rest of the music that I've done, but working with him — I don't know what it is. He does everything by himself and he's so fast and collaborative. He's on another level. The aesthetics in all your videos are so strong and put together. What compels you to make it so complete? I want the visuals to be aesthetically consistent, but conceptually there. The visuals are so important to me because aside from the songwriting there's another story that can be told with the visuals. Collaborating with these directors for these visuals has been amazing, too. What do you think about growing up in Miami made helped your music? I'm Cuban and Puerto Rican and Miami is very Cuban oriented. Growing up around the music — all of the salsa and meringue influenced me as an artist. I find myself gravitating to latin influences, sounds. The main part of living in Miami is that you have to learn how to dance salsa. One of my favorite songs from the EP is "Running Through Lovers." What is it like being so young and telling such personal stories? Other than the song "Confidently Lost," I don't write from personal experience, just because I haven't lived enough to be able to do that. A lot of these songs that you guys hear are songs of the women and men in my life who have experienced a lot of things. I have close friends who I sit with and we go over what they've been through in their lives. Most of these songs are stories of people who I really care for in their lives. The songs are so personal to me in that way and I can relay them in a way where I've gone through them. Doing a search for your name the phrase that comes up a lot is "slept on." Do you feel slept on? [laughs] I don't want to sound cocky but — a little bit! I'm not gonna lie. But I'm glad I'm not the only one. I'm gonna let them say it and I'll just keep it to myself.